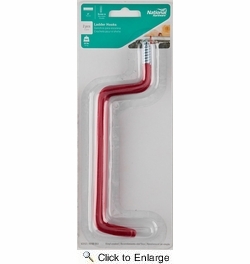 National N188-003 Ladder 6" Hooks - Vinyl Coated - 2 Per Package (V2157). 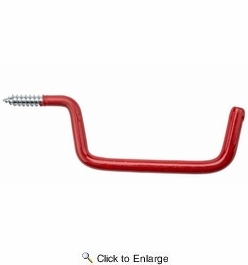 Designed to hold ladders, equipment and various other items in the garage. Red vinyl coated. Easy installation. Steel material.